President Andrew Jackson told the Ridge family he wanted the Cherokees out of Georgia no matter what, even though the Georgia Supreme Court said they could stay. Cherokee Chief Major Ridge was a patriotic man. He did what he thought was best for the Cherokee people, therefore, he, son John Ridge, nephews Elias Boudinot (changed his name from "Buck" Watie) and Stand Watie (Major Ridge's brother was David Oo-Watie), and several other Cherokees signed the Treaty of New Echota, which traded Indian lands in Georgia for acreage in Arkansas and Oklahoma. The treaty was signed on December 29, 1835, in Elias Boudinot's home in New Echota, Georgia. New Echota was the Cherokee capital between 1825-1839. Major Ridge wrote the Cherokee law that called for treason if an Indian sold his land. After signing the treaty, he said "I have signed my death warrant." Five months later, Major Ridge also said "I expect to die for it." The Ridge/Watie Family and the treaty party moved west comfortably under the protection of the U.S. Government. The rest of the Cherokee people were expected to do the same. The Cherokee people were upset because the treaty was not voted on by the majority. They also did not want to leave Georgia. Principle Chief John Ross stalled and asked the government for more money and provisions. Jackson did not like John Ross. Jackson called him a "villain," "greedy," and a "half-breed" who cared nothing for the moral or material interests of his people. `The treaty had a final removal date and that forced the rest of the Cherokees to leave. The treaty led to the infamous "Trail of Tears." Four thousand out of sixteen thousand died on the journey including Mrs. Ross. After the Cherokees were relocated to Oklahoma, a band of Cherokees assassinated Major Ridge, John Ridge, and Elias Boudinot on June 22, 1839. A Choctaw, who saw Elias assassinated, rode Samuel Worcester's horse "Comet" to warn Stand Watie. Stand escaped on the horse. For years, Cherokees were divided by those that followed the Ridge/Treaty party and those that followed Principle Chief John Ross. Many believed that John Ross had them assassinated but it was never proven. The assassins were never brought to trial. When John Ross heard of Major Ridge's fate, he said "Once I saved Ridge at Red Clay, and would have done so again had I known of the plot." The feud went on for years, even after Oklahoma became a state in 1907. John's own brother Andrew Ross signed the treaty but was not assassinated. In fact, the removal was an idea of Andrew's. William Shorey Coody, a nephew of John Ross, was also affiliated with the treaty party. President Jackson knew that the Cherokee would survive and endure. He was right. 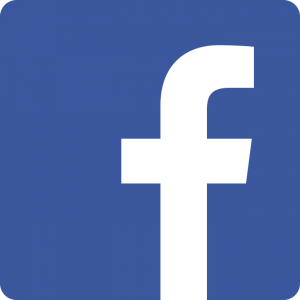 Today, there are three governmental bodies - Cherokee Nation West, Cherokee Nation East, and the Original Cherokee Community of Oklahoma. That's more than you can say about the Yemassee, Mohegans, Narragansetts, Pequots, Delawares, and any number of other dead tribes. The Civil War did as much damage to the Cherokees as did the "Trail of Tears." Eighty percent of the Cherokee people wanted to fight for the Confederates. John Ross was a northern sympathizer. Cherokees fought against each other. Past historians have always had unkind words for the Ridge Family and treaty party. 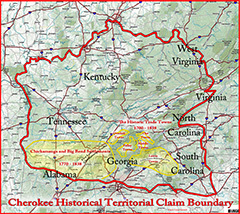 Historians are now saying that the treaty may have saved the Cherokee people from total destruction. If interested in learning more about the Cherokee Nation, read "Cherokee Tragedy: The Ridge Family and the Decimation of a People," by Thurman Wilkins, University of Oklahoma Press, 1988. Cherokee Chief Major Ridge (1771-1839) is buried at Polson Ridge-Watie Cemetery in OK, near Southwest City, Missouri. John Ridge (1802-1839), is buried next to him. Major Ridge's home in Rome, Georgia, is the Chieftains Museum/Major Ridge Home, a national Historic Landmark and a certified historic and interpretive site on the Trail of Tears National Historic Trail. His Indian name is KA-NUN-TLA-CLA-GEH, meaning "The Lion Who Walks on the Mountain Top." The white man shortened it to Ridge. General Andrew Jackson of the United States Army gave Ridge his name "Major" after Ridge led a force of Cherokees in the Battle of the Horseshoe against the Creeks. Indians had previously used no surnames. Major Ridge's and John Ridge's portraits are in the Smithsonian archives.